Description:he Flying Thunder God Technique is a technique created by Minato Namikaze which allows the user to transport themselves to a marked location in the blink of an eye. This technique was the reason behind his nickname, "Konoha's Yellow Flash"
Description:The Rasengan is a powerful A-rank technique invented by the Fourth Hokage, which he created by observing the Tailed Beast Ball. Minato spent three years developing the Rasengan; his plan was to take the shape transformation of one's chakra to the "highest possible point" and then combine it with his chakra's nature affinity, creating a technique that did not need the aid of time-consuming hand seals to control. Description:Mixed his wind element with the Rasengan during his training, maintaining its original stability and increasing its power, far beyond that of his ordinary Rasengan. An example of the power that element manipulation adds to the Rasengan is shown when it was tested against Kakashi's standard Rasengan. The fact that it was only partially completed, but still be able to easily overpower Kakashi's Rasengan and damage his hand demonstrates just how far the Rasengan had been pushed when combined with elemental chakra. Description:Using his Flying Thunder God Kunai, Minato can form a barrier that will teleport away incoming attacks directed at it. He can divert away attacks as large and powerful as a Tailed Beast Ball from the Nine-Tailed Demon Fox. 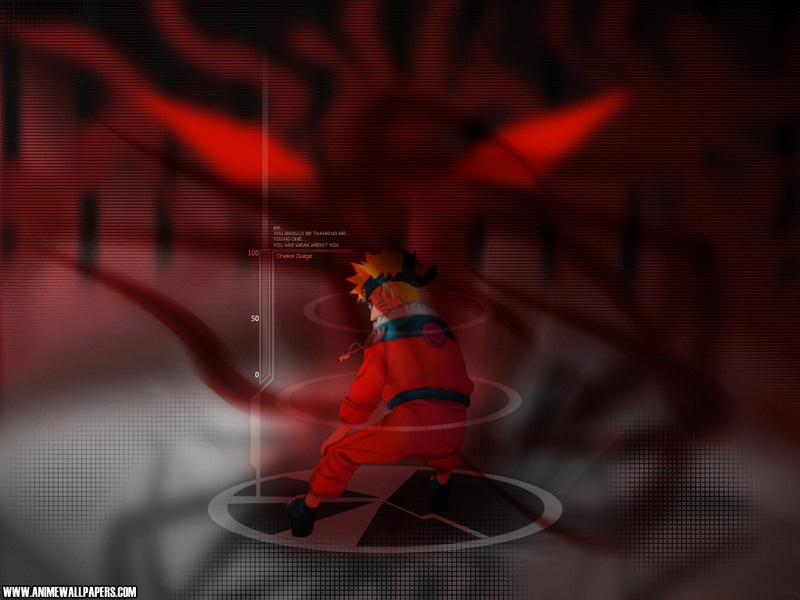 Once the attack is warped away, Minato has to direct it to another location. Description:he Dead Demon Consuming Seal is a seal which invokes the power of the "death god" (死神, shinigami; English TV "The Reaper"). Once called upon, the death god hovers behind the user and wraps its left arm with prayer beads, which causes a seal to appear on it. The soul of the summoner is also seen along with the death god, restrained by its hair but still attached to the user. The death god then inserts its arm into the user's soul. At this stage only the user can see the death god. The death god's arm extends from their chest and grabs the soul of the target, immobilising them at which time the victim can see the death god as well. The death god then performs the sealing. Soon after the sealing is completed, the death god consumes the souls of the user and the sealed, sentencing them to be locked in combat within its stomach for all eternity. A mark of the seal is left on the stomachs of those that have had something sealed within them using this technique. Description:The Eight Trigrams Sealing Style, consisting of two Four Symbols Seals, was used by Minato Namikaze to help a jinchuriki gain access the chakra of the tailed beast sealed within him. Description:A destructive dive that takes full advantage of a giant toad's body mass. The strength of the fall varies depending on the user. In the case of someone like Jiraiya from the Sannin, the summon can be performed in an instant right above the target, further adding the great gravitational force of a several hundred metre-high dive to the toad's own weight. Shadow clones can't be distinguished from the actual person even by the Byakugan because the clones have the exact same amount of chakra and aren't made from any other substance. Description:Sage Mode is the result of using natural energy along with a ninja's normal chakra in perfect balance to drastically empower a ninja's abilities. Description:he Frog Kata is a fighting style used exclusively by those who have mastered Sage Mode. The senjutsu chakra used during Sage Mode activates the body in various ways, enhancing the user's speed, strength, stamina and durability. This allows a Sage to do incredible feats which include leaping great distances, shattering sharp materials with their hands, as well as lifting objects several times their size. In Frog Kata, the natural energy used by the practitioner to create senjutsu chakra, also encapsulates the user as an aura of natural energy. This aura can act as an extension of their body and cannot be seen by anyone other than those who have trained in senjutsu. By utilising the aura, the user can extend the range and force of their physical attacks. Strikes that seemingly or would normally miss will actually make contact with the target. One punch has been shown to have enough force to cripple and completely finish off an opponent.